How you can make an impact in the corporate world! It’s spring and a fresh start, and for many of you, it may even be a new job or challenge. Reputation within business through word of mouth is still alive and kicking, but how can you really make an impact when you start a new job? The first challenge is getting known. In many corporate roles, employees have told us the first hurdle is making your presence known internally. If you do this right, working effectively with all departments from marketing to finance will be a walk in the park. This is before you can even start to influence shareholders, investors and customers. There have been some great conversations after shoots we’ve done in recent months, but from the information we’ve gathered, corporate employees within their first year in role say that; the majority of their online profile views come from other internal employees. Whether that’s employee’s having a nosy at your CV, figuring out what salary you could be on, understanding how they can work with you to push forward plans, or even because they’ve forgotten your name . . . the point is, who cares? At the end of the day, if your headshot isn’t good, it’s exactly that they are going to remember. Think of it like this, you wouldn’t want to go to a casino with your colleague in a wetsuit, or a massacred ball with your friend wearing shorts and flip flops. Life is full of choices and this one, for sure, you can take ownership of, and trust us, it will do you heaps of favours. There’s also the flip side of the coin. Once you’ve settled in, and you really have got a name for yourself as the determined and well respected professional you are, it’s the new starters who will have to get to know who’s who. And as a new starter, we’ve all been there . . . it can be a hard time. Proving yourself, building bridges and making connections. But you never know what the new starter has in their kit bag, it could be something of use for that business case you’ve been trying to push through for the past year. Within the digital sphere especially it’s not easy, and it’s these new starters that can often teach us a thing or two to really help you in those day to day situations, from presentations to reports and even innovation. It will most likely be on their radar to link up with you, but with so many employees present within the corporate castle, new starters can have the upper hand of being choosy. Let’s face it, it’s a blank page, they’ve made no connections yet, so you can’t really get offended if they begin making business plans first with the guy sat opposite you. There can be big ego’s in the corporate office, but it takes a new starter a good few months to figure out who’s who and understand the hierarchal structure. Furthermore, within this period, the people that the new starter networks with and builds relationships with first, can last a lifetime. In order to figure out who YOU are though unless the new started as been told, would be through a quick Google search, and BAM there you are, in all of your business glory. And I don’t know about you, but I want to show my warm personality, which beams success, through a well thought through headshot. But giving away that I wrestle on a Saturday night isn’t something I particularly want to portray. That headshot is key. We can give your face more reach than it’s ever had before, a photograph that will network with people before you’ve even met. With people turning to the internet to see who’s who, make sure you have a presence and demonstrate your true character, and that fresh start will stay fresh throughout your whole career. The best headshot is the headshot that stands the test of time. When that dreaded email comes through, and you’ve just found out there will be organisational restructure, do you really think the CEO knows everyone in the business? And there’s only one place they will go have a quick search. Online. Book in a professional headshot with The Headshot Guy now. Would you risk turning up to a business meeting dressed in your office wear and trainers? Me neither, and just like a pair of shoes completes your look, so does a great headshot. A professional headshot is a long-lasting first impression for when you are not around. Having our heads attached to our bodies is a star quality we all have the privilege of living with. The face is one of the main features we as humans recognise each other by every day. However, professional headshots are much more than just a picture of your face. 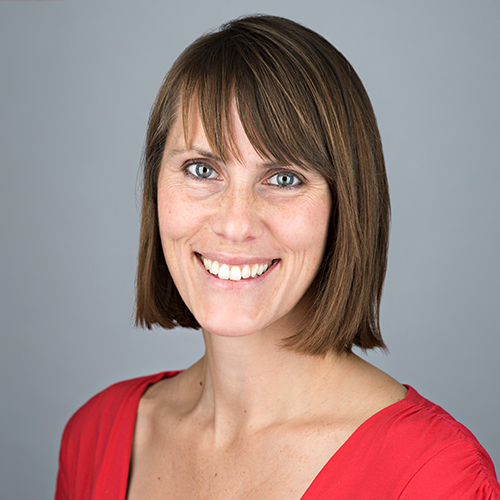 A great professional headshot photographer considers body language, your smile, your brand colours, even the way you want to be perceived by your target market. Many people have forgotten the importance of first impressions online. The same way that you wouldn’t risk turning up to a business meeting in your trainers, some people risk their first impression being compromised, through lack of knowledge of just how dramatically influential a professional headshot has in association with you and your business. The fact of the matter is the quality of the visual representation affects the way people perceive the overall product or service, that product or service being your personal brand image. If you are considering having your headshot taken for any purpose, have it taken by The Headshot Guy because It’s not worth turning up in trainers. TRUTH OR LIES: How to spot a FAKE smile! You know the situation, the awkwardly raised eyebrows, the tight curl of the lip, the flaring of the right nostril and the straight face that gives nothing away, then finally, it is the cherry on top, the fake smile! Yes, I have said it the ‘fake smile’, is there anything more threatening, more aggravating, more irritating? I hope not! For me, the ‘fake smile’ is a big no-no! Just so you can clearly understand what I mean here is an over exaggerated version perfectly demonstrated by Chandler from Friends. Real life isn’t like friends and professional headshot photographers are above and beyond anything you have just seen in that video. But in all seriousness how do we tell if a person is giving a ‘fake’ or genuine smile? Well, psychologist Richard Eastman has looked into the phenomenon and now gives a few practical tips on how to solve the issue that lies at the heart of whether someone is being true or false. He states that the key to the fake smile is empathy. ‘Empathy lies at the heart of detecting a real smile! Crucially, a person who is more empathic will notice a real smile.’ In fact, research has shown that the real smile is detectable because of the way the skin crinkles around the eyes, named the ‘Duchenne smile’ after a French physician who enjoyed playing with electrodes and shocking his patients….Nice! Some of us have trained ourselves to re-enact the ‘Duchenne smile’ and trick other people into believing that we are smiling. This may work in real life but be sure that a camera will pick up on this, and the vast majority of us can spot a fake smile on a photograph a mile off. Can you spot a FAKE smile’? Having a genuine smile is important for our ability to trust each other and relate as human beings, it’s not only important for how people come across but it also affects our decisions when interacting with other people. A good headshot photographer will never ask you to smile but will encourage it through the way they guide you through the shoot, ensuring you have the best headshot with a real smile. That’s why The Headshot Guy is recognised as the best in the business. If you find yourself running away from the camera here are our top 6 tips to help you build your confidence and start creating some beautiful memories and excellent professional headshots. A good photograph uses the whole face and body. While you’re in a shoot or having your photo taken, think of a memory where you could not stop laughing and let that memory fill into your whole body. Ask your friends to take more photo’s of you, so you can get used the feeling of seeing a still image of yourself that’s not in the mirror. A study shows that Nationally, men check their face 27 times on average each day, against 34 times on average for women. We look at our reflection so often in the mirror that now; when we see a photograph of ourselves we appear to look different. This is because we do look different in the mirror. The more photos other people take of you the better. Unfortunately, this doesn’t work for “selfies” as they imitate the way we look in a mirror, so you are going to have to ask a friend to take a photo or pop on a self-timer. Be cautious of what styling products you use, some hair products can appear to make your hair look stiff and unnatural. Reveal that natural look by researching what hair products suit your hair colour, texture and style. Select an outfit that makes you feel great and positive! In a study, researchers found that the clothes you wear actually affect your mood. “The strong link between clothing and mood state suggests we should put on clothes that we associate with happiness, even when feeling low.” This is because when you put on clothes you associate with being happy it makes your mood happier. Ensure your photograph looks great by wearing an outfit that makes you feel positive and confident. The Power Pose – also perfect for an interview, the power pose is a simple exercise you can do to make you feel relaxed and confident. Just before having your photo shoot pop somewhere quite, stand with your feet firmly on the ground, hands on your hips and stay like that for two minutes without saying anything. This makes your non-verbal communication confident, and after two minutes this confidence soaks into your body and into your shoot. For feeling strange for two minutes this in return enhances your photographs making you look and feel more confident and relaxed. Visualise the ideal outcome of your photo-shoot or photograph. It doesn’t matter whether you are taking part in the activity or visualising it, the same neural networks of the brain are still being used. By closing your eyes and Visualising the outcome in as much detail as possible it enhances your senses making them more receptive. This helps you feel more confident about achieving your goal because you have already done it in your brain. Our friendly team has worked with every type of person imaginable so as long as you bring yourself and be open to being coached and directed, you won’t be disappointed. The tips above are not essential, but if you want the very best headshot they can help transform your confidence and make you think positively about having your photo taken. To check out some of the ladies that have had their headshots taken with us click here. 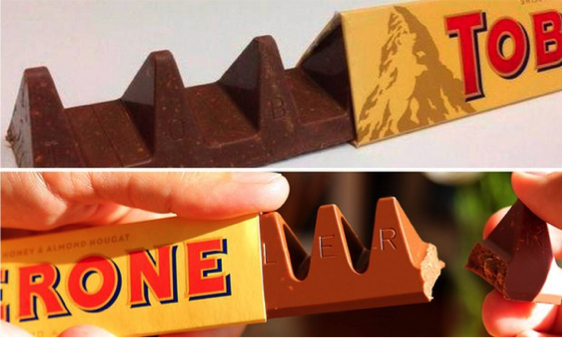 Don’t be a Toblerone, Close the Gap! People are now looking at the famous yellow Prism as incomplete, sub-standard and untrustworthy. Once a bar being admired by chocolate lovers everywhere, now an old edible brown bicycle stand waiting to be sent back to the manufacturer. The Swiss T, no matter how great of a chocolate bar it may be, has now widened the gap not only between the blocks but also between itself and its audience. In our terms, the gap in this new chocolate bar (if you can still call it that) symbolises the gap between what people think you look like and what you actually look like. For example, you might think you look professional on LinkedIn, using a cropped headshot of yourself in a nice suit or dress, but other professionals may think your profile looks incomplete substandard and untrustworthy. The headshot guy aims to close that gap by giving you the perfect headshot, appropriate for your own brand image. Professionals and other business people want to see you looking at the top of your game when you’re networking with them, this builds their trust and influences their decisions, therefore closing the gap. This could be the deciding factor for that promotion or the new job you are looking for. Close the gaps between you and your potential business partners and who knows you may be the next Willy Wonka. 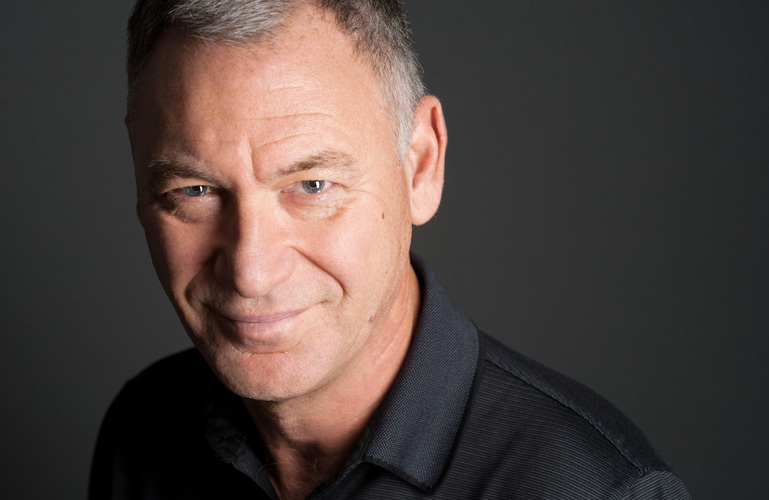 Call us on 0800 0234565 for a free consultation of how to close the gap with a great headshot. He had all the qualifications and experience needed to confidently manage one of the most successful business deals of all time. Everything seemed perfect after all the time, effort, emails and meetings – a 15-year contract was waiting to be signed. The inquisitive potential business partner, who Micheal had been in conversation with for months, had finally decided to take the plunge by purchasing some of Michael’s Company’s state of the art security software. All of a sudden something terrible happened… Moments before the potential business partner signed the contract, something told her to check Micheal’s Linkedin Profile. She checked LinkedIn for reassurance that Michael was a professional businessman that could be trusted with the security of her business. Michael’s profile appeared on the screen and in that instant the potential investor decided to not sign the contract. Michael dreamt all night of how this new deal would change his life and the lives of the employees at his company. He turned up to work on Monday morning to an email stating that his potential business partner had pulled out of the deal. Every time there is a full moon Michael wakes up at midnight with terrors of what more he could have possibly done to seal that deal. Unbeknown to Michael, the LinkedIn profile photo he was using at the time spooked his potential business partner. His professional photograph that should have been screaming, “I am a secure, trusted, businessman” was instead screaming “look how relaxed and fun I am!” The image Michael used was a cropped photograph of him at a wedding two years ago. His professionalism and his company’s success may have been the best in the world, but his ghastly profile picture made for a very unhappy ending for Michael. 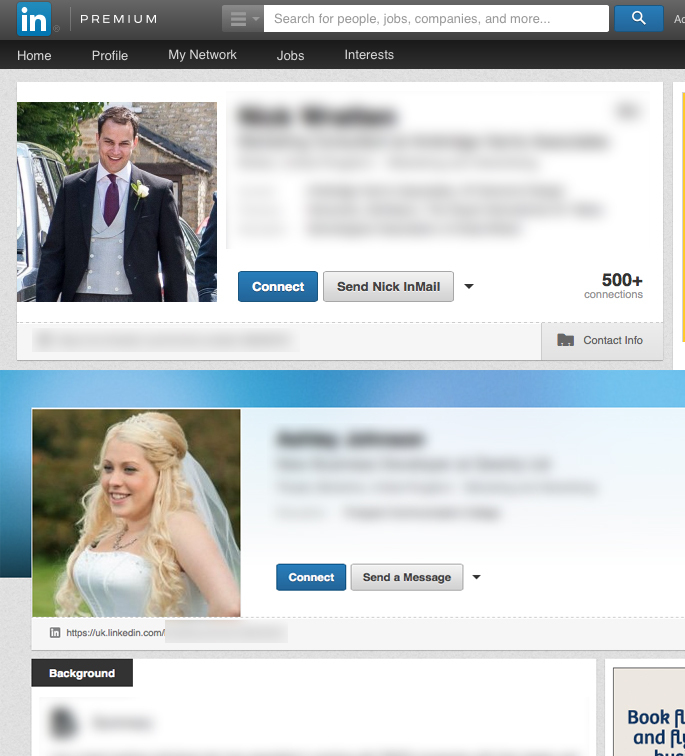 Don’t make the same mistake as Michael, remember wedding photo’s have no place representing your business or personal brand image on linkedIn. Wearing a stunning dress or fancy suit isn’t enough to create a trusting online profile that business people take seriously. You wouldn’t wear a Halloween outfit on Christmas day or turn up to an interview wearing a cravat or wedding dress, so don’t make the same vital error by the representing yourself online wearing the wrong attire. Book a dream photo shoot with The Headshot Guy to ensure your brand image is represented throughout your entire business online. For do’s and don’ts about your LinkedIn profile and headshot click here. To get your free quote on your dream Headshot Guy photo shoot click here. Many of us enjoy being silly in front of the camera – in fact being silly in front of the camera can work wonders for your headshot. It’s pleasantly surprising to see that our Victorian ancestors also had lots of fun during their photo shoots. These refreshing photographs show that our Victorian ancestors, who are renowned for their stiff and proper personalities, weren’t afraid to let their guard down and produce photos with oodles of character. We have no idea who or what is known about the people or dog in these headshots or the reason for them being taken. What we do know is that, apart from their clothing, these photos are very much like the fun ones we often take in our shoots as you can see. The Woodhorn Museum in Washington displayed The Victorian headshots as part of an expedition, less than two hours away from our Leeds studio. 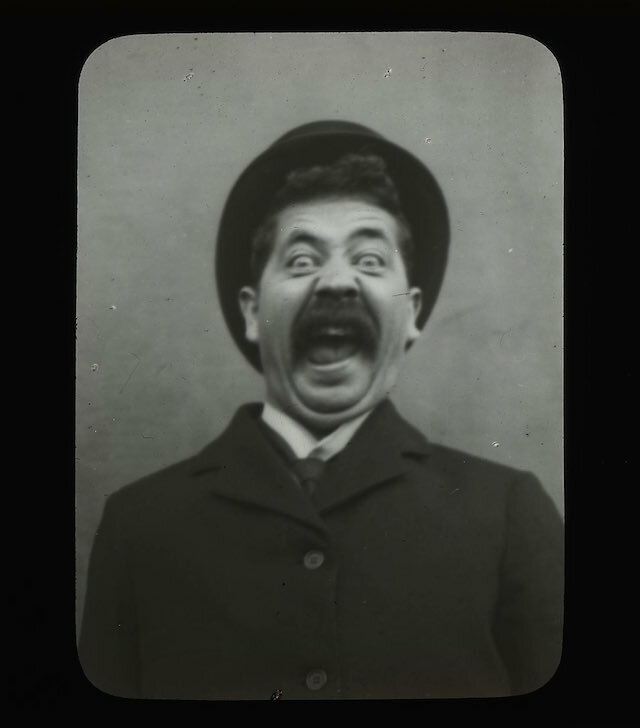 The Headshot Guy encourages you to let loose in your shoots by pulling funny and unusual faces. From our experience this builds confidence in front of the camera whilst creating a brief stress release for those hectic weeks. A photo shoot like the one in the video generates vibrant engagement with the colleagues in your business, providing them something positive to talk about on the commute home. Is your face like the back end of a bus? If you decide to use your face as an advertisement on a London bus, you better use a professional headshot to prevent looking like the back end of one. Including a face alongside your message instantly humanizes it and makes it trustworthy. We as complex human beings have an inherent trust in other people, a simple way to gain that trust to improve your brand is through the use of human faces in your advertisements, posts, designs, business cards, the list goes on. With over 8.6 million people living in London and over half of all UK bus trips taking place in London, It’s no surprise that top organisations are advertising their faces on the side of the famous red bus. MiddletonMurray develop great careers for the next generation of employees and build future-proof workforces for all their SME clients. They decided to use their founder and CEO Angela Middleton’s professional headshot for the launch of their new head office in London. 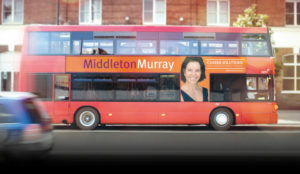 ‘’The strapline we created for the official opening of our new Head Office in the Strand, Westminster was ‘We haven’t moved…We’ve Arrived!’ Central to this was the graphic we created of a London bus featuring the MiddletonMurray logo and John Cassidy’s superb headshot of our founder and CEO, Angela Middleton. The promotion was a great success and the ‘We’ve Arrived’ graphic was widely shared on social media’’. 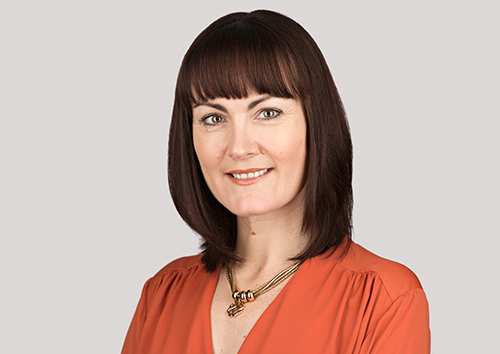 If you’re thinking of using a face for any branding ensure you have the right headshot to implement the precise brand image you need – and avoid looking like the back end of a bus. If you found yourself on the wrong side of the law and the police took your mugshot and released it to the media would you be cheeky enough to ask them to use one of your own? 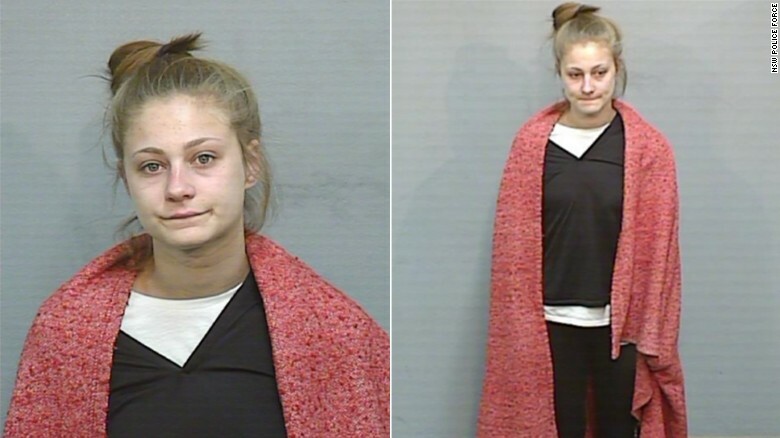 18-year-old Australian escape convict Amy Sharp did because she knows that a good headshot is key to her brand image. So much so, that when Amy was on the run from police after she escaped from a correctional facility, she took to social media to ask police and news teams to change her mugshot to a more credible photograph of her own. 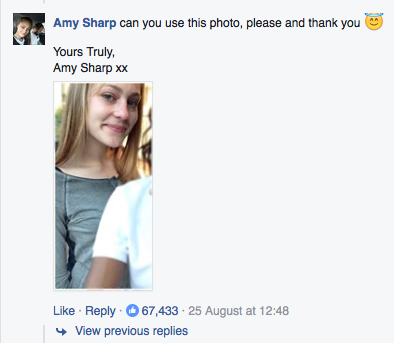 With a surge of followers and over 52,000 likes, Amy’s decision to request the photo of her to be changed to one she prefers is, in my opinion, pretty cheeky. While concentrating on fleeing from police, Amy still couldn’t resist the temptation to try and change her brand image. But it’s still unknown as to what new branding Amy was attempting with her new photograph. Although Amy’s idea to change her mugshot was brilliant, unfortunately, her preferred photo left out half of her face which, as we all know, is where the money is. As funny as this story is, it does raise some significant questions for the rest of us. And it’s not just Amy, another Australian man in an exchange with police on Facebook asked them to change his mugshot. 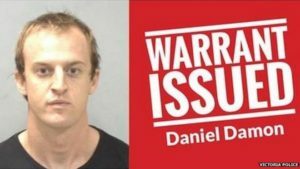 Daniel Damon, who was wanted for failing to answer bail for traffic and drug matters, replied to the post and to a number of other users commenting on the situation. If you were on the run or god forbid, you were to get arrested, do you have a great image you could use to portray the fun professional side of you? Whatever your profession, The Headshot Guy will light you up and create the perfect headshot inline with your personal brand image. If you’re curious about what a good professional headshot looks like or just want to have browse at some lovely faces we’ve shot click below.